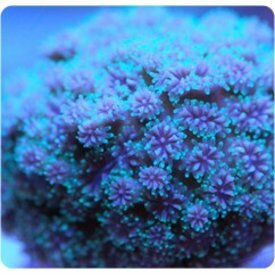 Candy Cane Coral is a large polyp stony (LPS) coral. 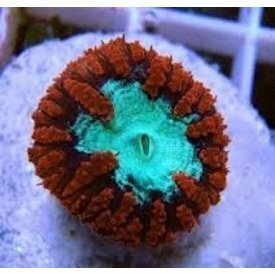 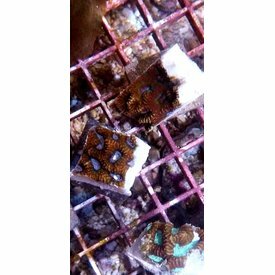 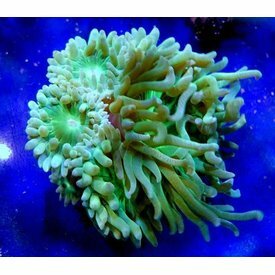 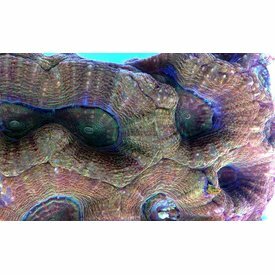 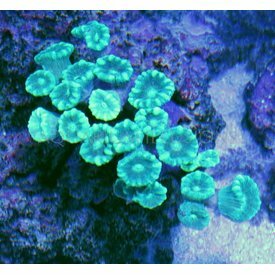 The plump circular polyps are vibrant green, yellow, or blue and brown, with the Candy Cane Coral from Tonga being a brilliant translucent green to teal and brown, and each tip is white. 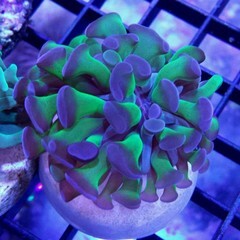 Chalice Frag (Echinophyllia sp.) 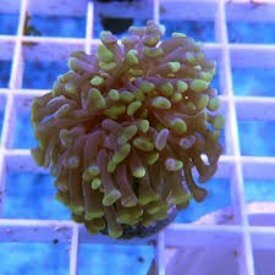 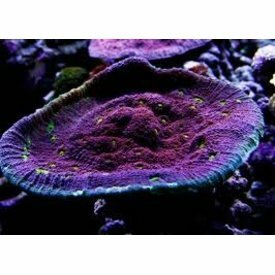 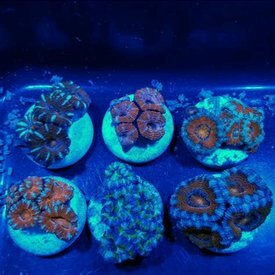 1-2"
Golden Eyes Chalice Frag .75-1"
Fiji Maze Frag (Platygyra sp.) 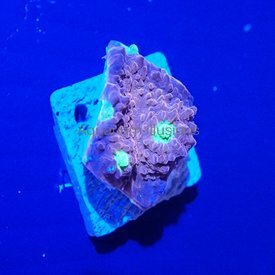 1-2"